NEW YORK, Oct. 8, 2018 – The National Basketball Association (NBA) tipped off the fourth annual Jr. NBA Week (Oct. 8-15) today with the launch of “Her Time To Play,” the league’s new initiative to inspire girls ages 7-14 to learn and play basketball in a positive and healthy way, and increase opportunities for women in coaching and athletic leadership. 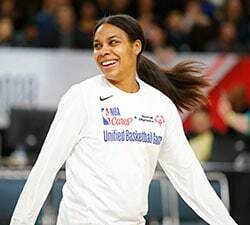 In collaboration with the WNBA, USA Basketball (USAB), YMCA of the USA (Y-USA), the Women’s Basketball Coaches Association (WBCA), Boys & Girls Clubs of America (BGCA), and the Women’s Sports Foundation, Her Time To Play will provide hundreds of youth organizations with a free basketball curriculum and life-skills lessons developed specifically for young women that prepare them for the challenges of adolescence. All 30 NBA teams will host basketball events and programs for local youth and communities to celebrate Jr. NBA Week, including special activities to tip off Her Time To Play. On Oct. 13, Boston Celtics forward and Her Time To Play ambassador Gordon Hayward will host a Jr. NBA clinic for 30 local girls in Boston, leading them in basketball skills and drills and an off-court leadership activity alongside his wife, Robyn. Created in partnership with the Women’s Sports Foundation, the Her Time To Play curriculum includes 12 lessons on topics like healthy eating and nutrition, teamwork, self-confidence, mental wellness, body image and bullying. 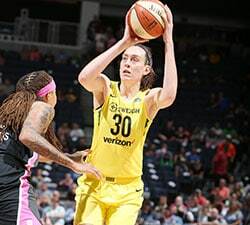 Each chapter features a WNBA team and highlights personal life stories shared by WNBA players, including five-time WNBA All-Star Elena Delle Donne, five-time WNBA All-Star Brittney Griner and 2016 WNBA MVP Nneka Ogwumike. 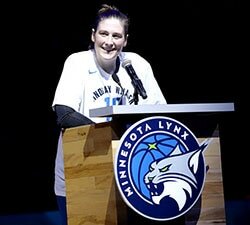 Additionally, Her Time To Play aims to increase the number of women in coaching. The Jr. NBA will provide opportunities for more than 500 new coaches to receive their USAB Coach License, and select coaches will be honored at the 2019 Jr. NBA Youth Basketball Leadership Conference for their commitment to growing the game. Through Jr. NBA Coaches Forums, the Jr. NBA works year-round to emphasize respect and inclusion among boys and girls of all ages in partnership with A Call To Men and Athlete Ally. This season’s forums will continue to underscore the influence coaches have on young athletes and equip them with key learnings and resources related to diversity, gender and LGBTQ inclusion and gender violence. As part of Jr. NBA Week, the Jr. NBA will partner with the Arctic Slope Community Foundation (ASCF) from Oct. 13-18 to host a series of clinics in Anchorage, Alaska. Bringing together more than 200 boys and girls and 100 coaches from across the state – the majority of whom are Alaska Native American – these clinics will use the game of basketball to foster community, confidence and leadership among youth in the region.